The First Trailer & Poster for Paul Thomas Anderson's 'THE MASTER' Starring Philip Seymour Hoffman & Joaquin Phoenix! The Weinstein Company has released the first theatrical trailer for Paul Thomas Anderson's The Master, starring Philip Seymour Hoffman, Joaquin Phoenix, Jesse Plemons, David Warshofsky, Amy Adams & Rami Malek. The movie is set in America in the years following World War II. A Scientology inspired religious drama which centers on the relationship between a charismatic intellectual known as 'the Master' [Seymour Hoffman] whose faith-based organization begins to catch on in America, and a young alcholic drifter [Phoenix] who becomes his right-hand man only to begin questioning his manipulative mentor. The Master hits theaters this October 12th. Hit the jump for the details. Synopsis: "Written and directed by Academy Award nominee Paul Thomas Anderson (the acclaimed director of, There Will Be Blood, Magnolia and Boogie Nights), this story stars Academy Award winner Philip Seymour Hoffman (Capote) and Academy Award-nominee Joaquin Phoenix (Walk the Line). Set in America in the years following World War II, a charismatic intellectual (Hoffman) launches a faith-based organization and taps a young drifter (Phoenix) as his right-hand man. But as the faith begins to gain a fervent following, the onetime vagabond finds himself questioning the belief system he has embraced, and his mentor. A truly one-of-a-kind drama, which promises magnetic virtuoso performances, the film marks the fifth collaboration between Anderson and Hoffman, following Hard Eight, Boogie Nights, Magnolia, and Punch Drunk Love." 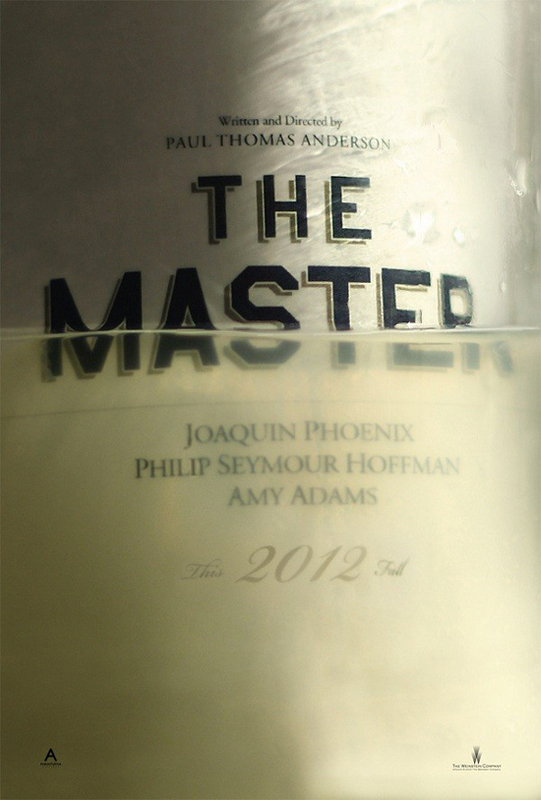 I'm reading: The First Trailer & Poster for Paul Thomas Anderson's 'THE MASTER' Starring Philip Seymour Hoffman & Joaquin Phoenix!Tweet this!